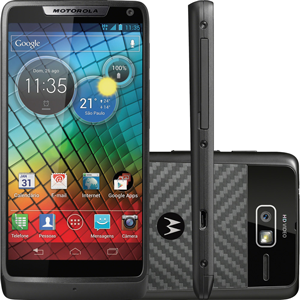 The Motorola RAZR i may not exactly stand out at first glance. Sure, the 4.3" Super AMOLED Advanced edge-to-edge display (PenTile) draws attention to itself thanks to its minuscule bezel. However, the real differences can be found in the internal architecture. The RAZR i is one of the first devices to be based on the Intel Medfield architecture, and it is the first Medfield device to clock in at 2 GHz. Backing up the processor is 1 GB of RAM, 8 GB of storage, an 8 MP camera, and a 2000 mAh battery.